Take the classic snack of cheese and crackers to the next level with our savory cheese spreads! From mild to bold, this flight includes flavors every palate will love. 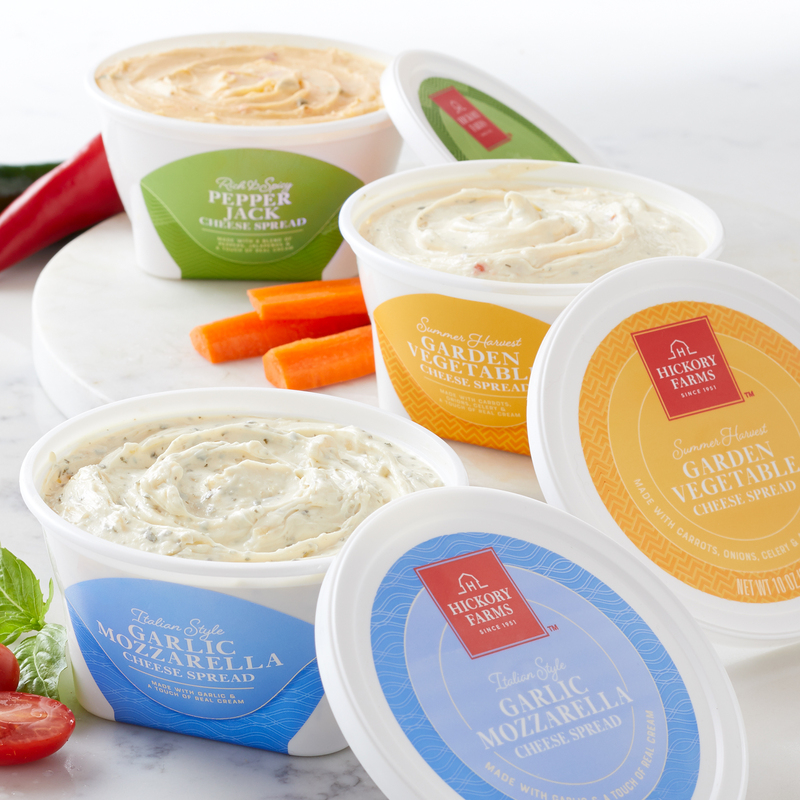 You'll get one each of Garlic Mozzarella Cheese Spread, Garden Vegetable Cheese Spread, and Pepper Jack Cheese Spread so you can try all three. These flavors taste great spread on crackers for a quick snack, or on bread or toast as part of your favorite meal.